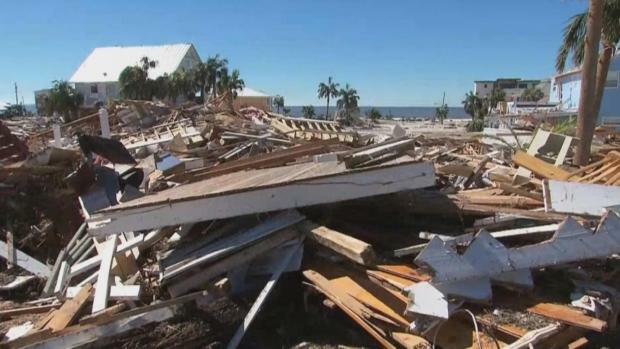 Hurricane Michael killed at least 16 people in Florida, most of them in the coastal county that took a direct hit from the storm, state emergency authorities said Tuesday. That's in addition to at least 10 deaths elsewhere across the South. The number of deaths in Florida could be as high as 19: Three deaths previously announced by the Jackson County sheriff were not included in the state division’s numbers released Tuesday. Overall at least 29 deaths across four states have been blamed on Michael, according to an NBC News tally based on official counts. Emergency responders continue to search for those who were last seen riding out Hurricane Michael in the Florida Panhandle as President Donald Trump head to Florida and Georgia to survey the damage. The storm has claimed the lives of 19 people. Associated Press writers Curt Anderson and Gary Fineout contributed to this story.